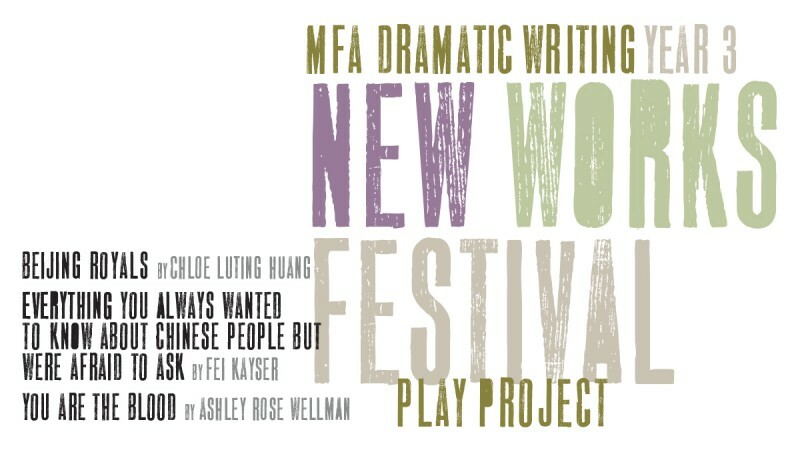 The three plays by the graduating playwrights of the MFA Dramatic Writing program, will be presented as staged readings with professional actors and directors. Sunday, May 1, at 10 a.m.
From shirtsleeves to shirtsleeves in three generations is a saying that crosses cultures. The Li family struggles from poverty, rises into great power, and fights ruthlessly to maintain it over three generations. Set against the tumultuous changes of modern China, the Li family moves from their village to the capital. Sunday, May 1, at 2 p.m. In order to get money for the gang for murder, Landun and Bili team up to form a plan: marrying into money. Landun spots Sisi, a beautiful well-educated heir frequently visiting higher class parties in Beijing. Landun tries to court Sisi into marriage, but fails. Ultimately, Bili kidnaps Sisi and form a very intimate connection. A strange romance kick starts. When Shelby, a cynical stand-up comedian and the daughter of a convicted serial killer, discovers that her father is marrying an eccentric young performance artist that writes to murderers, the two develop a strange, charged friendship despite the looming and dangerous presence of the bloodshed in Shelby’s bloodline.